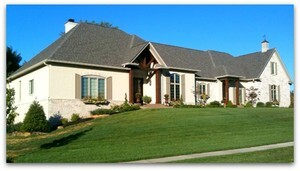 The Willows in Zionsville is a prestigious neighborhood of custom-built homes set on large lots with mature trees. The Willows comprises beautifully appointed resale and new construction homes priced from the mid $400,000s to more than $1.5 million. Neighborhood amenities include a pool, playground, walking paths, and tennis, basketball and volleyball courts. Below are the latest homes for sale in The Willows. To search all properties for sale in Zionsville or anywhere else in the Indianapolis area, just use the search box above. This search will allow you to receive email updates as soon as new homes that meet your criteria come on the market. You'll also be notified of price and status changes for any homes you've already seen.